We Are Social and Hootsuite have published their annual Global Digital Yearbook for 2019, showing the state of the internet in countries across the world – including South Africa. The report is a comprehensive overview of the global internet landscape, drawing on data from a variety of sources, including surveys and research groups. 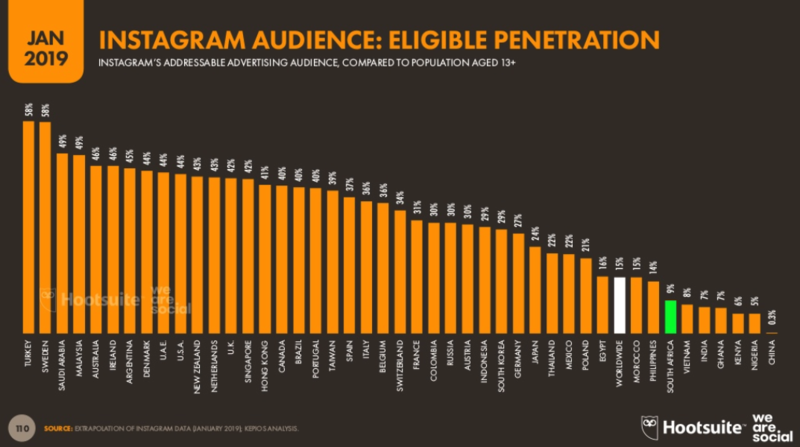 It found that in January 2019, South Africa had an overall internet penetration rate of 54%, representing just over 31 million people are online in the country. 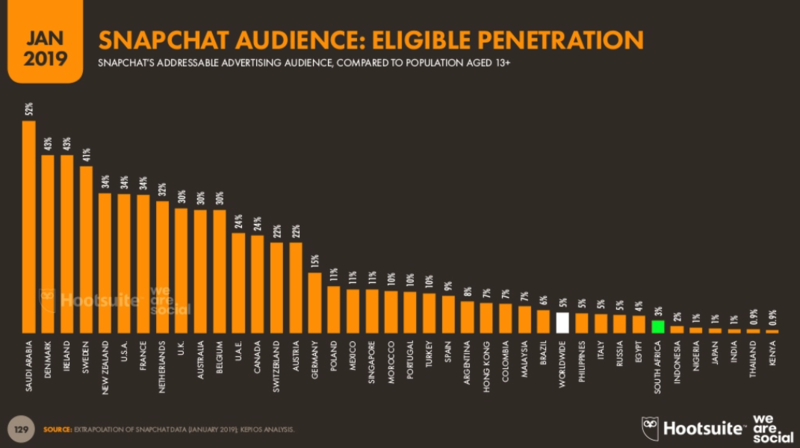 Of particular note was the country’s growth in social media activity, with about 5 million more South Africans joining the ranks of active social media users, where the social media penetration rate is 40% of the population (23 million people). 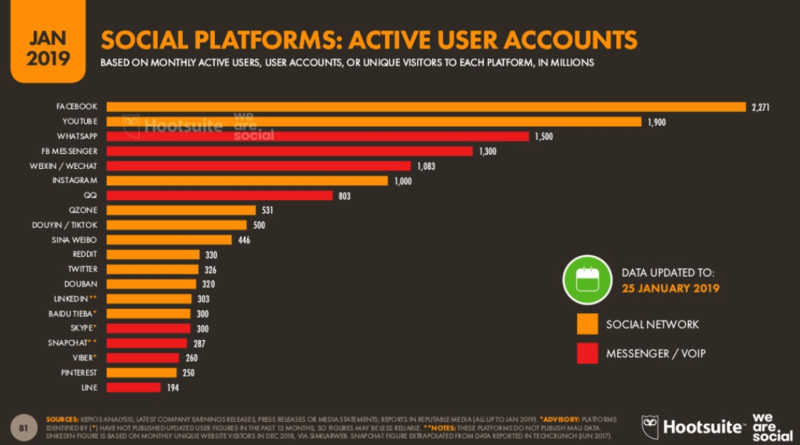 Globally, Facebook continues to dominate as the most used social media platform with 2.27 billion active accounts. This is followed by YouTube (1.9 billion), WhatsApp (1.5 billion) and Facebook’s Messenger (1.3 billion). 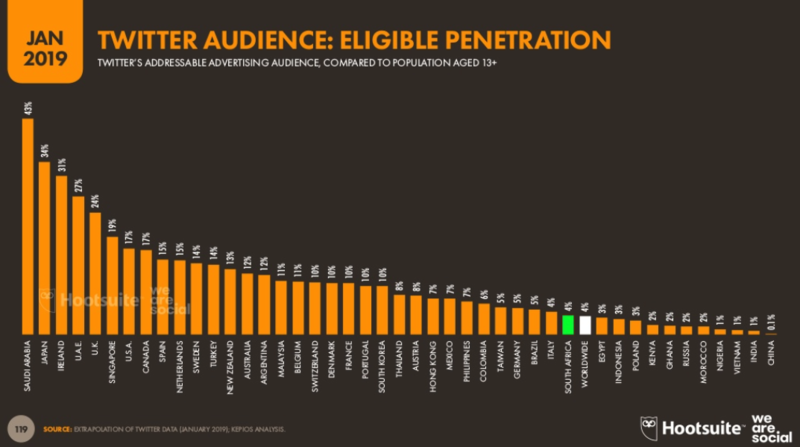 While the report doesn’t delve into specific user numbers for each platform in each country, it does give a penetration rate based on the total addressable advertising audience (the audience that companies can directly access – ie, who have not blocked ads or are on ad-free subscriptions, etc). 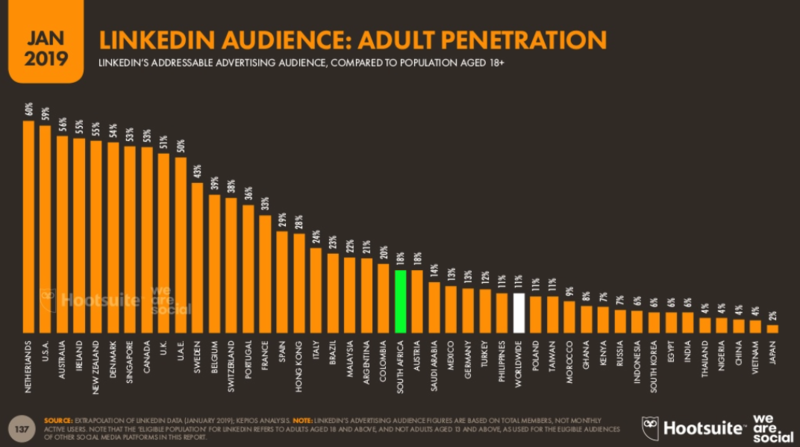 This gives an indication of how the big the different platforms’ audiences are in each country. 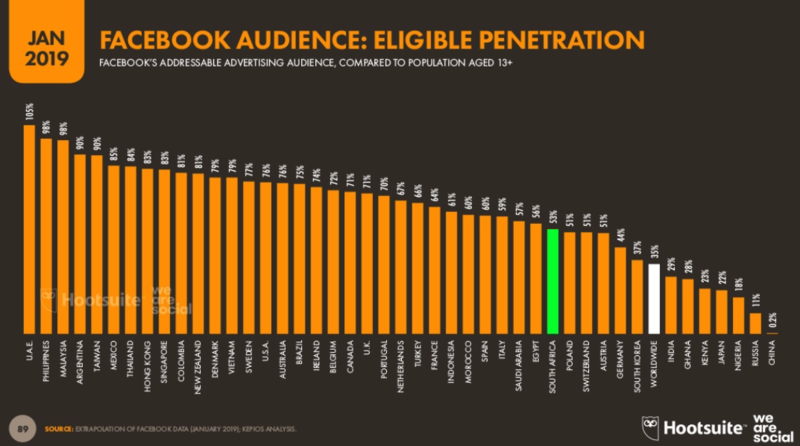 For South Africa, Facebook is by far the biggest platform, with a penetration rate of 53%. This is followed by LinkedIn (18%), Instagram (9%), Twitter (4%) and Snapchat (3%).